events@irish-toffees.com by February 13th to confirm your attendance. Don't wait, do it now! 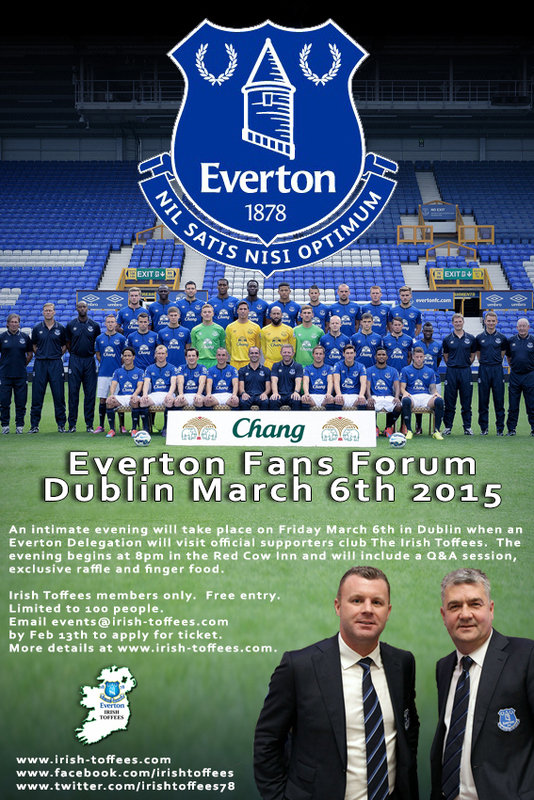 Please direct any questions to events@irish-toffees.com. Please note: Members aged 14 years and older are welcome. There is a charity match taking place on June 1st that may be of interest to you! Football For Charity have asked us to tell you about an Everton Legends Select XI team will take on Irish Everton fans at Dalymount Park in Dublin. The event is being organised by Football For Charity (www.footballforcharity.com) and The Jack & Jill Foundation and Billy's World will benefit from the event. The ex-Everton players will be managed by none other than FA Cup Winning manager Joe Royle! The Everton side will include such names as ex-Ireland international Gareth Farrelly, European Cup & 1st Division Winner Graeme Sharp, FA Cup winners Graham Stuart and Joe Parkinson, as well as Alan Stubbs, Stuart Barlow and Steve Simonsen. Tickets are priced at 10 euro per adult, 5 euro per child, 35 euro VIP, or 50 euro (adult + child VIP). VIP tickets are inclusive of meet and greet at local hotel (to be named on ticket) special bar area within ground and seats, plus after match buffet and Q&A at a local hotel with hot food buffet. Please contact Terry@footballforcharity.com if you have any questions. Piltown AFC are teaming up with Everton In The Community to run an official summer camp for girls and boys. The dates for this camp are Monday July 28th to Friday August 1st. 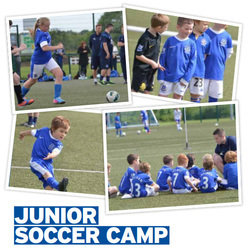 Price for this camp will be 120 euros and can be paid by postal order or cheque made out to piltown AFC. More details in the pdf file below. 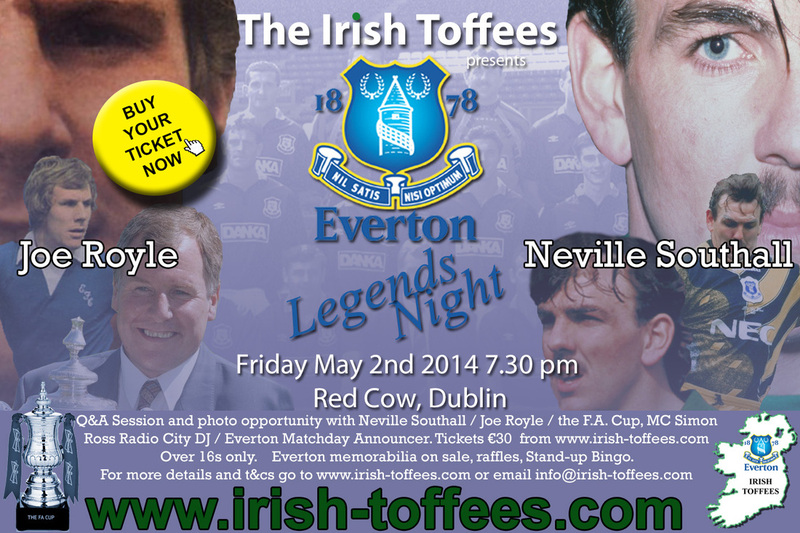 Thanks to Irish Toffees member Simon Walsh for making this video of our event in 2012 with Joe Parkinson & Matt Jackson! One of our official Irish Toffees On Tour trips was to see Everton v Liverpool at Goodison Park on November 23rd 2013. What a game! It finished 3-3. Match report to follow soon. We got the ferry early on the Friday and stayed over that night, as the match kicked off at 12.45 on the Saturday and the sailing home had us in Dublin for around midnight that night. Many thanks to all those who travelled on our first official trip of the new season to see Roberto Martinez's first home game in charge against West Brom on August 24th. You can find a review of the weekend here and some photos here. 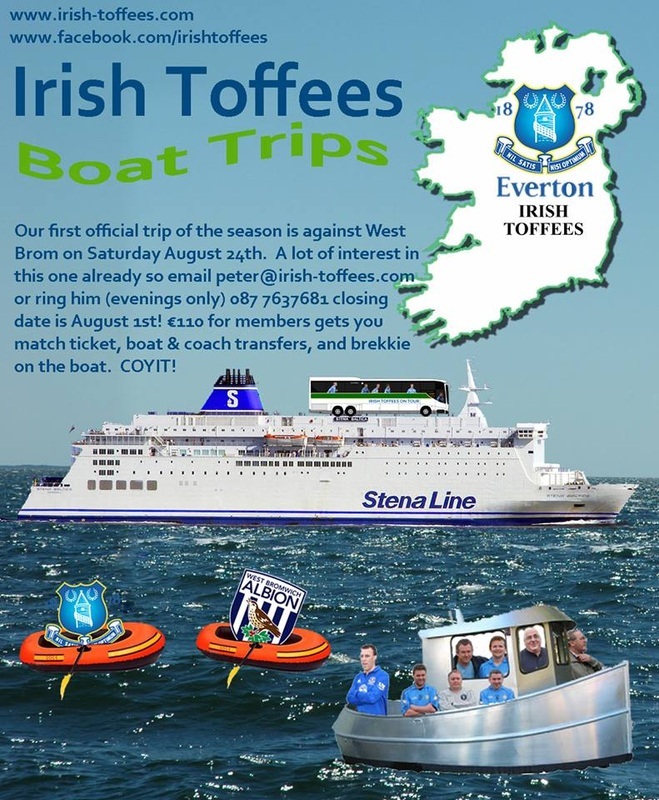 Update 15/08/13 - West Brom Boat Trip is now closed! Check back here for information on our next boat trip! Our next event is the Jim Kearney Memorial Trophy match between The Irish Toffees and Club Everton Ath Cliath on August 10th. If you would like to play in this match please contact Dom@irish-toffees.com asap.